Pelion mountain is located in the Thessaly region of central Greece. Given its ideal geographical position it is easily reached from all corners of the country and is therefore amongst the most desirable holiday tickets. It uniquely combines green mountain landscapes with the deep blue of the Aegean and Pagasitikos waters, offering visitors a variety of destinations for holidays or short excursions. Mt. Pelion is blessed with lavish abundance of natural beauties and ever-changing vistas. 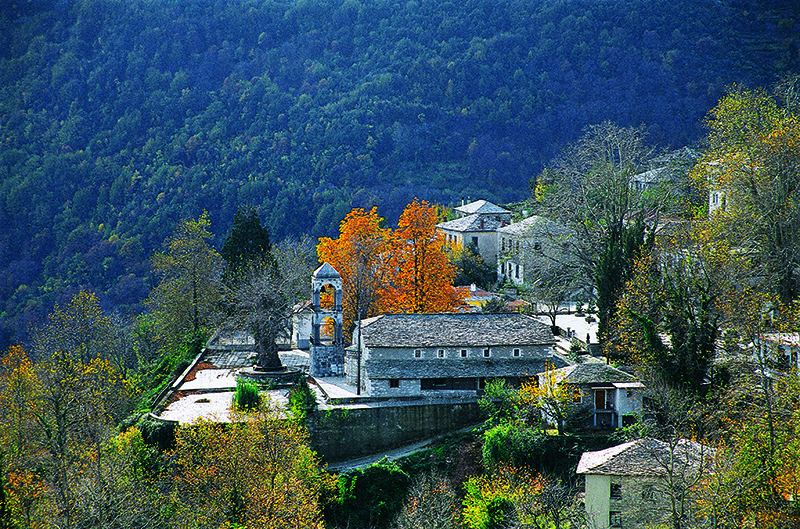 The unique attractions of each passing season and the local history and culture, charm the visitor and make Pelion a beloved and comprehensive tourist destination. Amongst these charms are its twenty-four picturesque villages, their labyrinthine cobbled streets adorned with numerous fine old houses in traditional architectural style, and exquisite small tavernas where one can sample local delicacies at sensible prices. On the Eastern side, a state-of-the-art steam railway constructed by the Italian engineer Evaristo de Chirico, in the early 1900s, now only functions as a quaint, romantic local sight, its brief ride in the fairy-tale scenery, a glimpse of olden days. 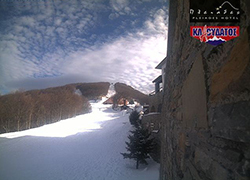 Ski Resort Agriolefkes has the privilege of being the only ski resort world-wide with sea views from the slopes. It is in Pelion that the ancient Greek pantheon descended from their palaces on Mt. Olympus to enjoy the summer amongst Centaurs and demi-gods. It is here Asclepius, the god of Medicine, studies under Chiron, the legendary centaur, and soon breeds, here, the holy snake, which becomes the symbol of the medical profession to this day, while Pelion’s diverse healing herbs become the basis for his pharmacology. Indian yogi’s believe that in places where mountains meet the sea humans can acquire the power to become little Gods. This is a given in this land of myths and splendor.